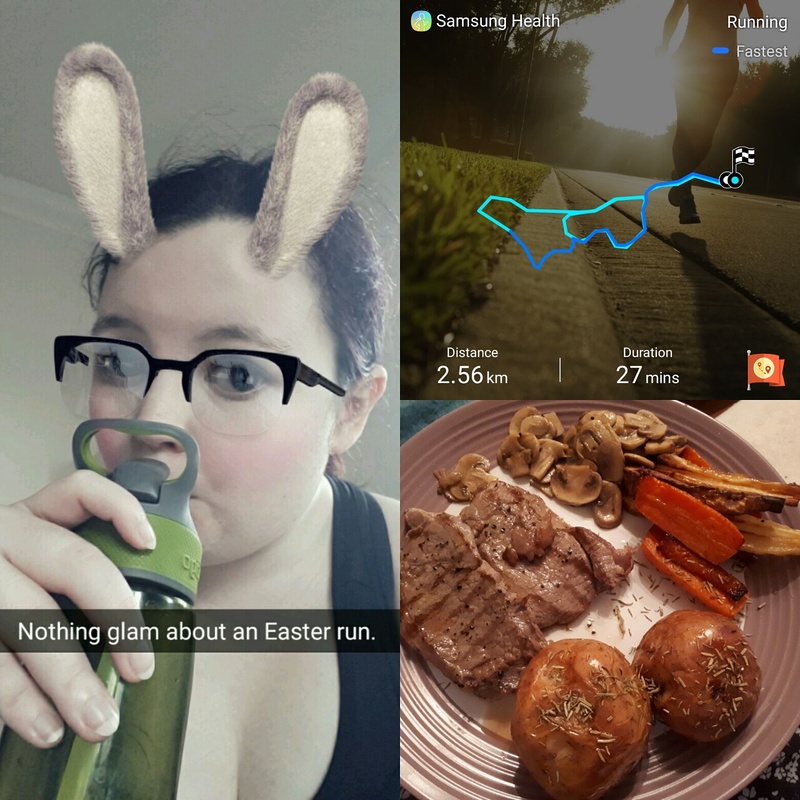 An Easter Sunday Run – Should You Care? Shoes: Brooks Adrenaline GET 17. Today was more of a walk than a run today, I didn’t manage to break any records or anything today. My pace was overall slower today as I’m taking a break from the couch to 5k and just did a 30 minute brisk walk today keeping a steady 5.6km/h. When we came home, myself and Splintor cooked up a really nice dinner. We had some thin beef strips, we roasted some carrots, parsnips and potatoes then we sauteed off some mushrooms in some butter and olive oil. Everything took 40mins to cook in total and I’ll give the instructions down below. Preheat your oven to 180° while you’re getting everything prepared. With the skin on take the potatoes & generously coat them in olive oil, salt & pepper. With oven gloves remove your dish from the oven and place your potatoes in the tray and pop them back in the oven leave them for 40 minutes. Bring your steaks up to room temperature and then coat them generously with olive oil, salt and pepper. Place them on a preheated skillet for 3 minutes total and let to rest for 3 minutes. Sauteé some mushrooms by cooking them in a pan with equal parts butter and olive oil for 5 minutes until a desired colour.